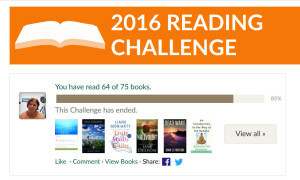 This is the second year I’ve participated in the self defined reading challenge. Although I came close, I did not meet last years goal. But in my standard O/C way, I upped the ante anyway. Once again, I did not meet my goal. BUT… I met & exceeded last years. So I have that going for me.